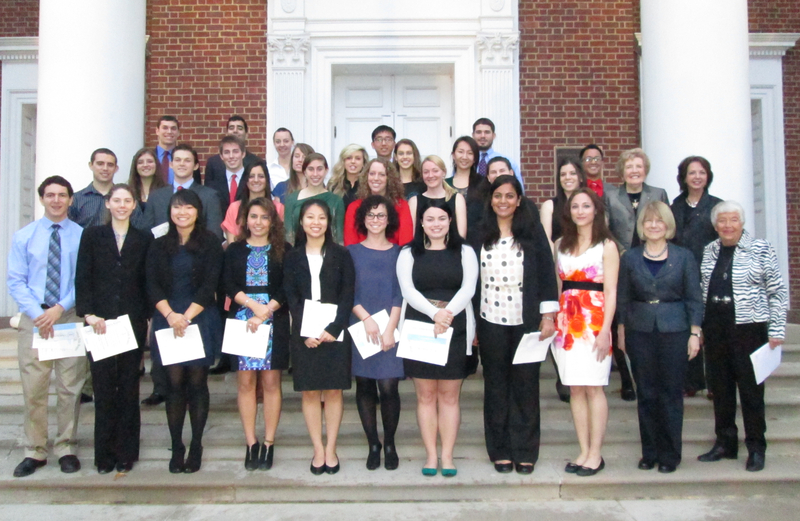 ODK is committed to giving back to the University of Maryland community. You’ll find our leaders contributing, in all sorts of ways, to a lively and enriching campus culture through participation in student groups, activities, and programs. The contributions don’t end there, though. 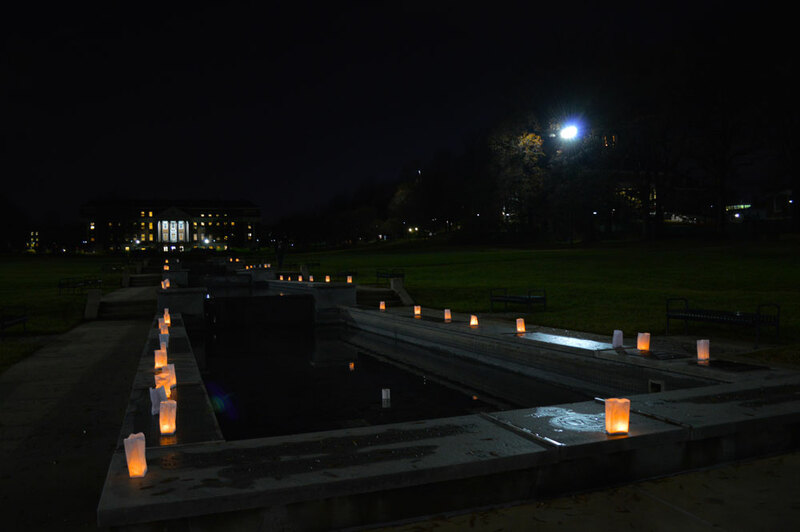 Recognizing a need in our community, Philanthropy and Community Service, Emily Fraik, organized our first-ever luminaria fundraiser on McKeldin Mall! On Wednesday, December 3rd, just after sunset, ODK used one of UMD’s most iconic landmarks, the ODK Fountain, to shine a light on an important cause – The UMD Campus Pantry. 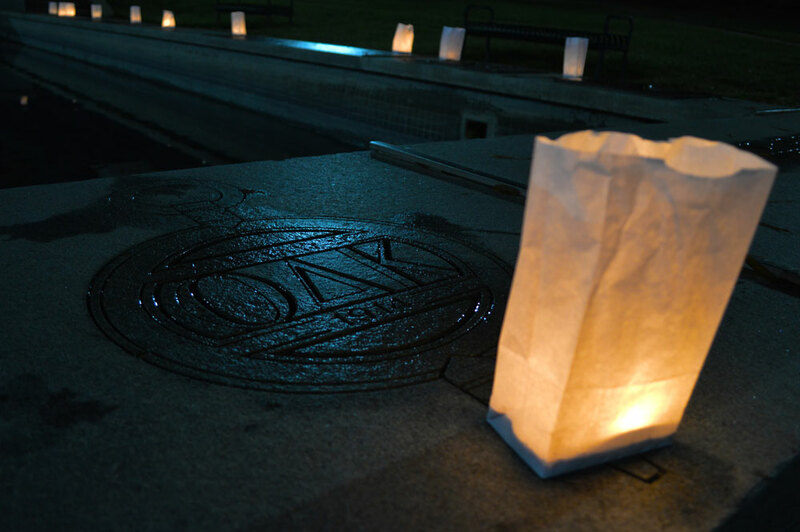 Through the sale of luminaria bags and hot chocolate (on a very cold evening), ODK was able to raise $200 to help support Campus Pantry’s mission to address food insecurity issues on campus. The University of Maryland Campus Pantry offers food assistance to members of the university community – students, faculty, and staff – in need. This being the season of gratitude and giving, ODK was happy to bring attention to and contribute to such a worthy cause. To learn more about UMD Campus Pantry, and to find out how to give, please visit their website, campuspantry.umd.edu. To say that bio-sciences major Fang Cao is accomplished is an understatement. 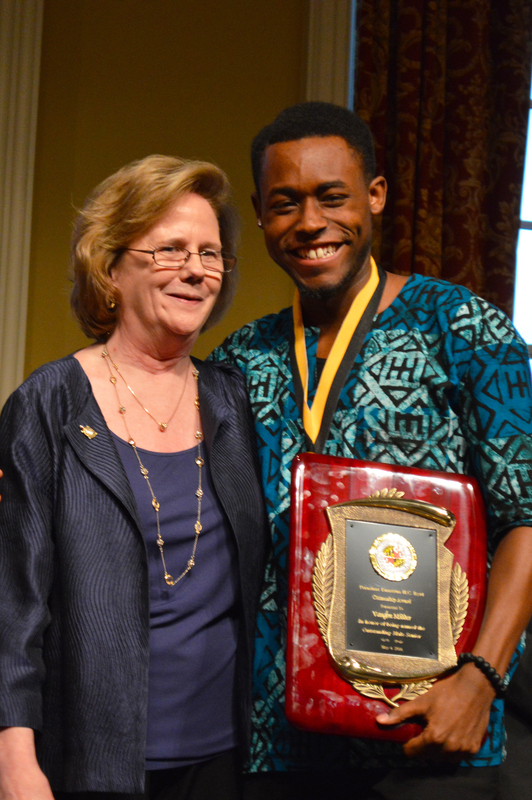 The University of Maryland senior has already been awarded a Truman Scholarship and was recognized for his accomplishments as a Spirit of Maryland winner at homecoming this fall. His most recent accomplishment, though, just might be his most impressive. 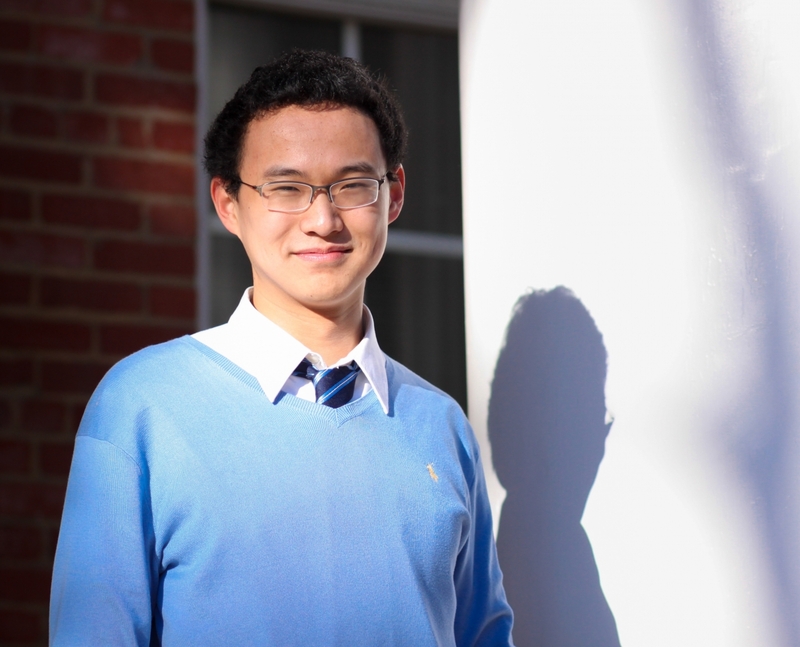 Fang Cao was named a Rhodes Scholar, one of only 32 in the nation and only the second in University of Maryland’s history. Congratulations, Fang, once again, for all that you have accomplished here at Maryland. 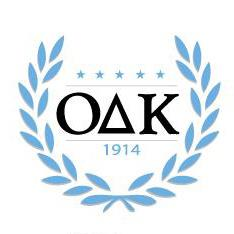 ODK is proud to count you as one of its’ members! 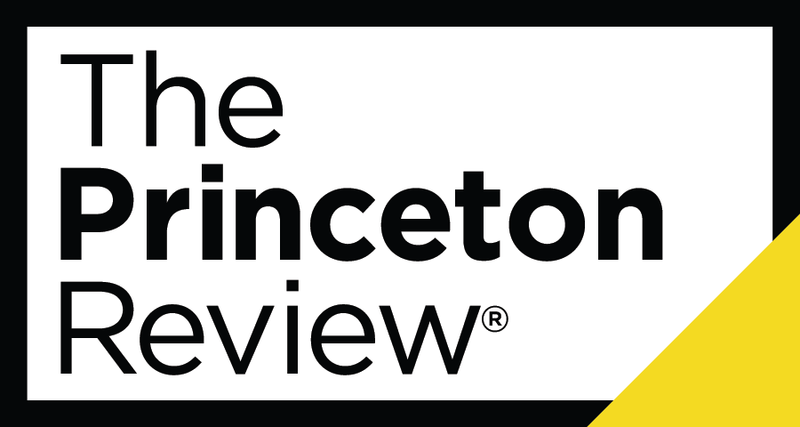 UMD Senior Receives Prestigious Rhodes Scholarship | UMD Right Now :: University of Maryland. ODK National Celebrated 100 Years of Leadership and Sigma Circle Was There! Earlier this summer, a caravan of Terps made the trip to Lexington, Virginia to attend the ODK National Convention and Centennial Celebration. Faculty Secretary, Dr. Brooke Supple, and Zimri Diaz joined former ODK Sigma Circle President, Stephanie Graf, and incoming Historian, Sarah Niezelski, at the National Convention, held appropriately at Washington and Lee University, the birthplace of Omicron Delta Kappa 100 years ago! Those four weren’t the only Terps in attendance, though! We were also fortunate to reconnect with former ODK Sigma Circle Officers Jesse Chen, Amanda Fitzgerald, Katy Rennenkampf, and Ruth Watkins; Andrew Cahoon, in his last weekend as the ODK Fellow, was working hard during the event, but still found time to say hello to his friends from back home; and, Matt Barnes was in attendance representing his new ODK home at University of Miami. 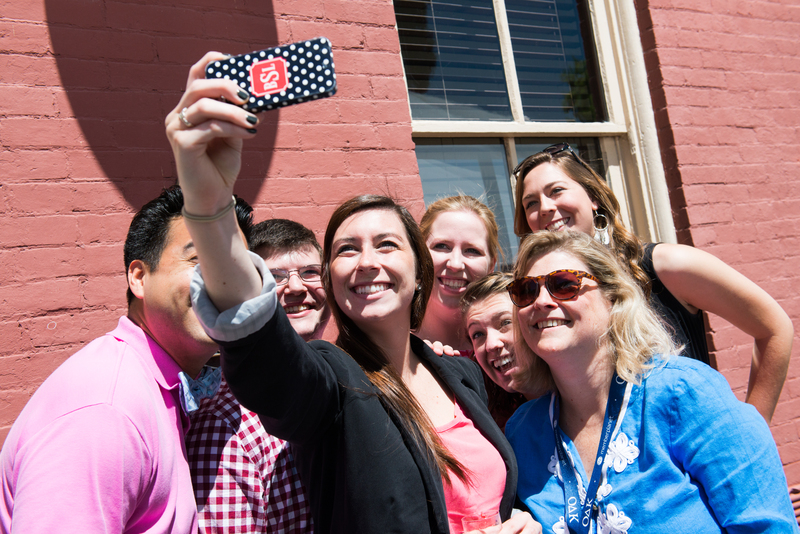 Members of ODK Sigma Circle take a group selfie in front of ODK National Headquarters in Lexington, Va. 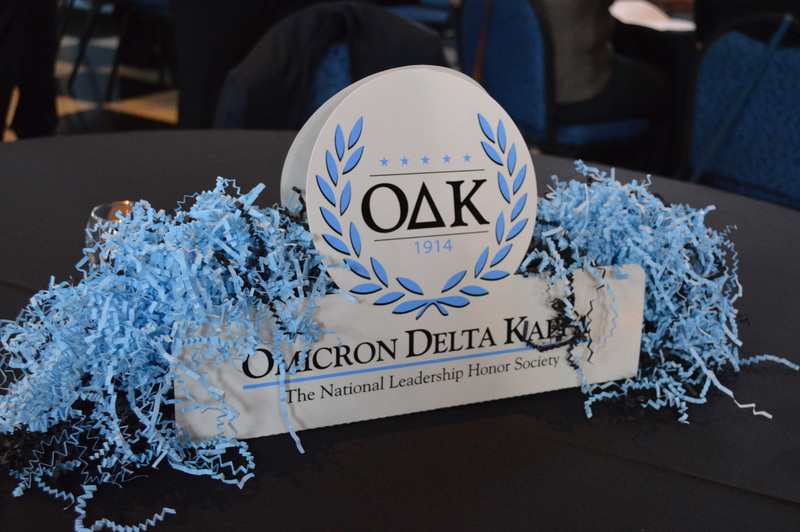 The National Convention is an opportunity for ODK leaders across the country to meet and connect – recommitting to the ideals of ODK, sharing and learning best practices from other circles, networking with peers and alumni, and propelling ODK forward. Members of ODK Sigma Circle delivered a presentation on Building Traditions on Campus (Don’t worry, folks. We didn’t tell them about our super-secret underground lair beneath the ODK Fountain –ed.). The convention is also the place where the good works of circles and members are recognized. We are pleased to announce that the Sigma Circle was designated as a Superior Circle by ODK National. It brings us greater pleasure to announce that outgoing Sigma Circle Vice President, Chris Riley, was selected as one of five finalists for the ODK National Leader of the Year Award for his commitment to Campus and Community Involvement. 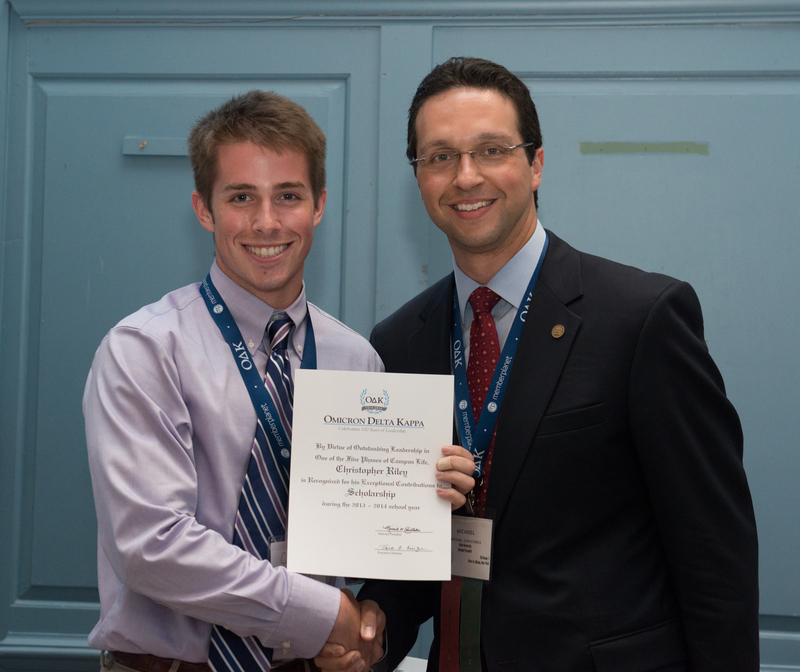 Chris Riley is recognized as an ODK National Leader of the Year Finalist by ODK National President, Micheal Christakis. Congratulations are in order for Chris and for all of the ODK Sigma Circle members and alumni who make this circle outstanding! Thank you for all of your amazing work. Bill Dorland doesn’t slow down. That much is evident in the Terp Magazine’s profile of the Honors College Director and member of ODK Sigma Circle. 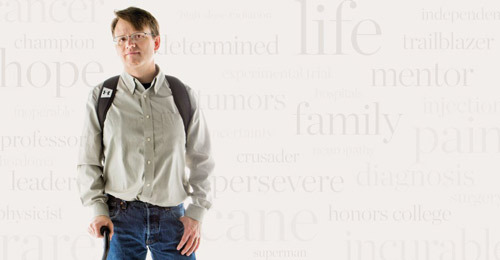 Inducted in Spring 2013 for his leadership in academics (former ODK President Katy Rennenkampf wrote in her nomination letter that “he is an exemplary model of the academic pillar and its values”), Dr. Dorland hasn’t wavered in his leadership of the Honors College or in the classroom despite his battle with chordoma, a rare and incurable form of cancer. He is a lesson in living your life as fully as possible. We’re as inspired by his commitment to leadership now as we were when he gave his insights on leadership in a speech at his induction reception. The Things He Carries ‹ TERP. Honors College Director and ODK Sigma Circle member, Dr. Bill Dorland, is featured in the Spring 2014 issue of Terp Magazine. H.C. Byrd Award Winner, Vaughn Midder, with Student Affairs Vice President and ODKer, Linda Clement. 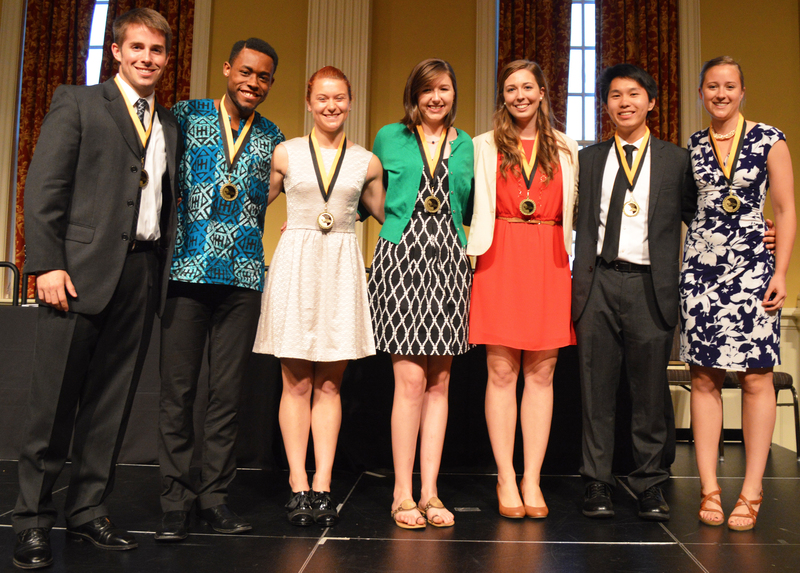 On Sunday night, the Adele H. Stamp Student Union hosted the Thirty Third Annual University Awards. The awards recognize scholars and leaders at the University of Maryland for their contributions to the campus and community. The event, sponsored by The Stamp and Omicron Delta Kappa, featured awards from all over campus life and honored many members of ODK! Junior Fang Cao was the winner of three awards, the Kirwan Award for leadership and commitment to the campus community, the OMSE Martin Luther King, Jr. Community Service Award, and the Adele H. Stamp Memorial Award. Senior Government & Politics major, Andrew Aggabao, was the recipient of two awards, the Vera Cruz-Kochiyama Award and the William L. Thomas Student Government Association Award. Catherine Thompson, a senior Government & Politics major, was recognized with the Camille K. Rajpat Memorial Award for Outstanding Member of the University Student Judiciary. The Wilson H. Elkins Award was presented to Christopher Riley, who had also been recognized as the Col.J. Logan Schutz ODK Leader of the Year earlier in the evening. The H.C. and Sally Sterling Byrd Citizenship Prizes were awarded to Vaughn Midder and Stephanie Graf for their contributions to the advancement of the University of Maryland. Newly inducted member of ODK, ODK Top Ten Freshmen, and the ODK Sophomore Leader of the Year, Nicholas Henninger, were also recognized at the awards banquet. Congratulations to every single member of Omicron Delta Kappa for helping to build a culture of excellence and leadership at the University of Maryland. Your work is evident in the leaders who were recognized and the student groups that make this campus great! ODK Members Chris Riley, Vaughn Midder, Julia Ruth, Kathryn Connolly, Stephanie Graf, Andy Xin, and Catherine Thompson were among the ODK members who were recognized for their contributions to Maryland. Fun at the Fountain Always a Hit at Maryland Day! More than 80,000 campus visitors made Maryland Day a huge success! The sun, beautiful weather, and 100s and 100s of floating red & black turtles helped with that, too. We’d like to thank all of our ODK Sigma Circle volunteers for getting wet and having fun. Thanks to all of our alumni who returned to say hello. Thank you to Sigma Circle Alum & Stewards of the Fountain Susan & Bob Goldberg for donating our turtles. And, a special thank you to all of the smiling, happy families and children who discovered the greatness of Maryland and the magic of the ODK Fountain. 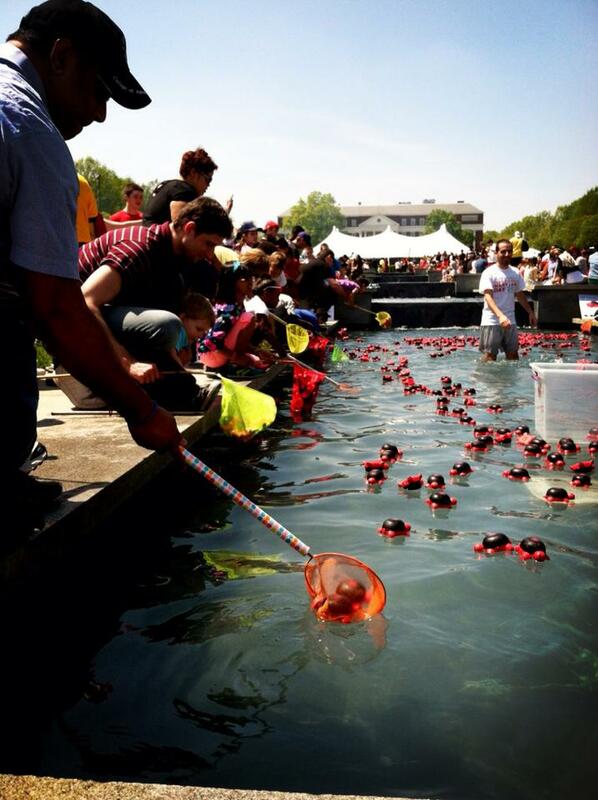 Everyone at the ODK Fountain had a blast at Maryland Day. We gave away 5,500 prizes and almost 2,500 turtles! Our newest Stewards of the Fountain were also recognized – look out for their new plaques on the fountain! 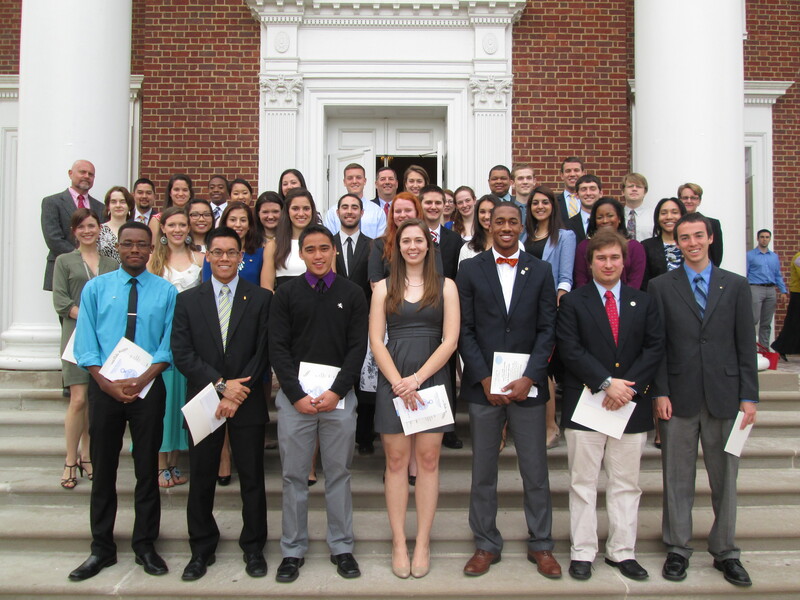 On April 14th, the Sigma Circle welcomed our Spring 2013 Initiates. Congratulations to our new members! 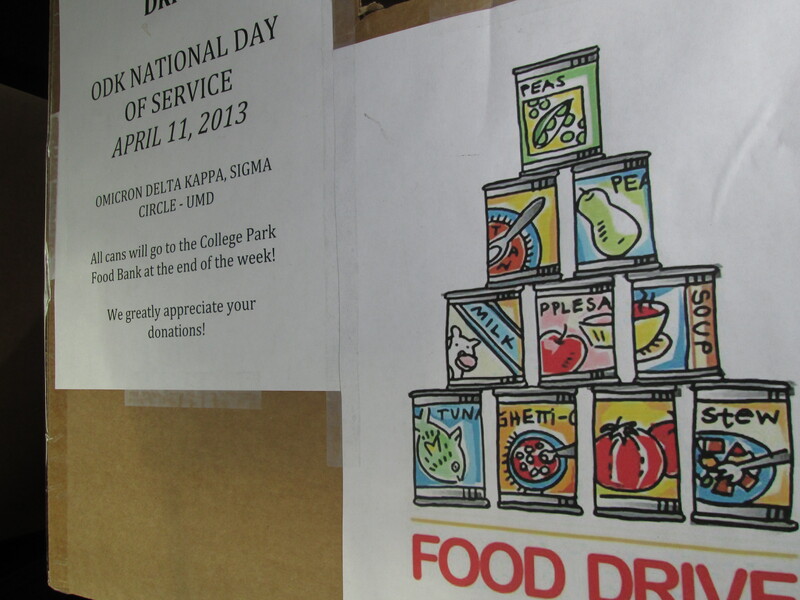 On April 11th, the National Day of Service, ODK hosted a canned food drive on campus to help out the College Park Food Bank. The Sigma Circle set up collection boxes outside of the Commons Shop on south campus and the 24 Hour shop in the Denton Community which resulted in a very large haul of cans! We would like to welcome our new Sigma Circle members! On Sunday, December 2nd, 28 undergraduates, two alumni, and faculty Dr. Joan Burton, Mr. Earl Cabellon, and Dr. Mary Harms were initiated into ODK. At our Initiation Banquet, our two alumni initiates – Ellie Fields (UM Class of 1949) and Jane McCarl (UM Class of 1952) shared some great stories! The slideshow from our banquet will be available shortly. Fall 2012 Inductees: Talia Chana Alter, Sasha Rebecca Azar, Vincent Gaspare Bellitti, Joanne M. Bistany, Neva A Bowers, Hayley Harding Brown, Valerie Caplan, Jacqueline Priscilla Crowell, Angelica Ann Eng, Judith Ann Gerstenblith, Allison Yvonne Gibeily, Alice He, Madison Paige Higgins, Navid Massoud Kashani, Jennifer Michele King, Julia Anne Klein, Danna Koren, Sydney Erika Liang, Kieran Cosgrove McGuigan, Todd Patrick O’Brien, Adam Max Offitzer, Christopher Bennett Riley, Esther Louisa Robinson, Jocelyn Sarah Rubin, Jaishri Shankar, Yoon Shin, Joshua Thompson, and Samantha Corinne Zwerling. Alumni: Ellie Fields and Jane McCarl. Faculty: Dr. Joan Burton, Mr. Earl Cabellon, and Dr. Mary Harms.